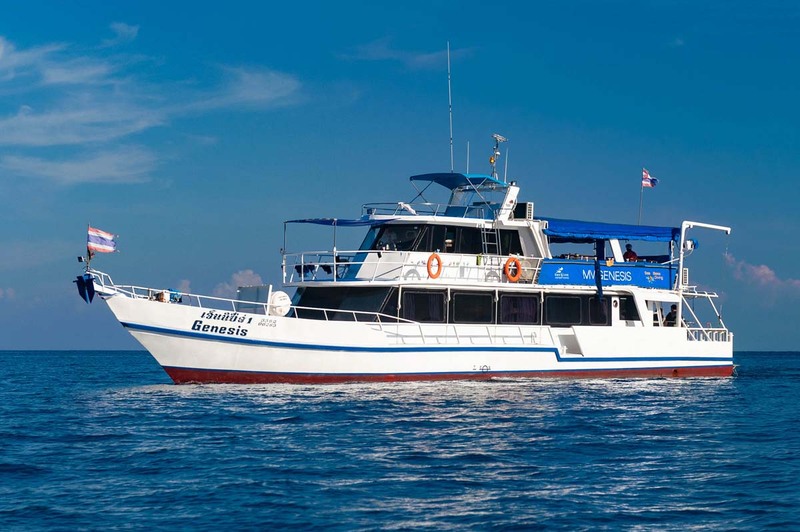 Run by an extremely-professional but friendly European team, MY Genesis 1 is a very popular liveaboard diving boat based in Khao Lak. 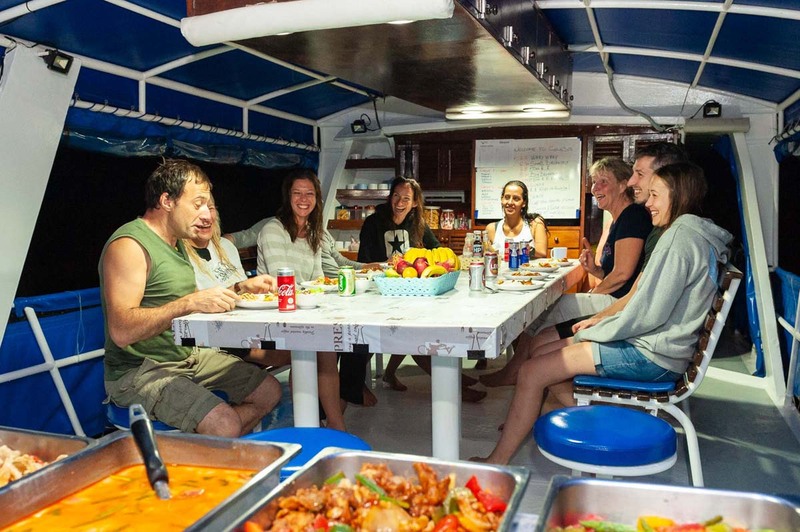 Genesis sails with no more than 12 lucky divers to The Similan Islands for three days & two nights, then after a night in port visits Koh Bon, Koh Tachai & Richelieu Rock, which are easily Thailand’s best diving spots. 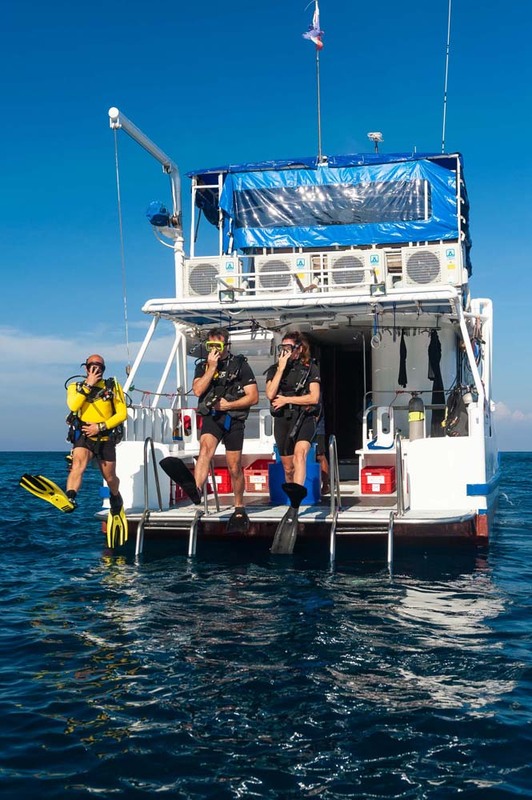 Therefore, guests can choose which area best suits their diving level and experience, and many stay on board for the full 6D/5N to see all of the best diving Thailand has to offer. 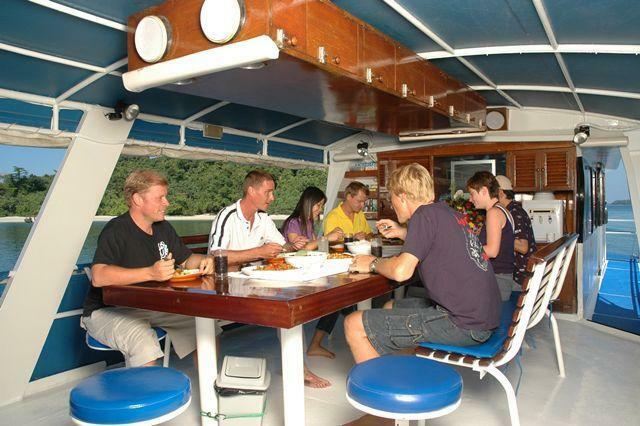 The boat is 25m long and has seven air-conditioned cabins. 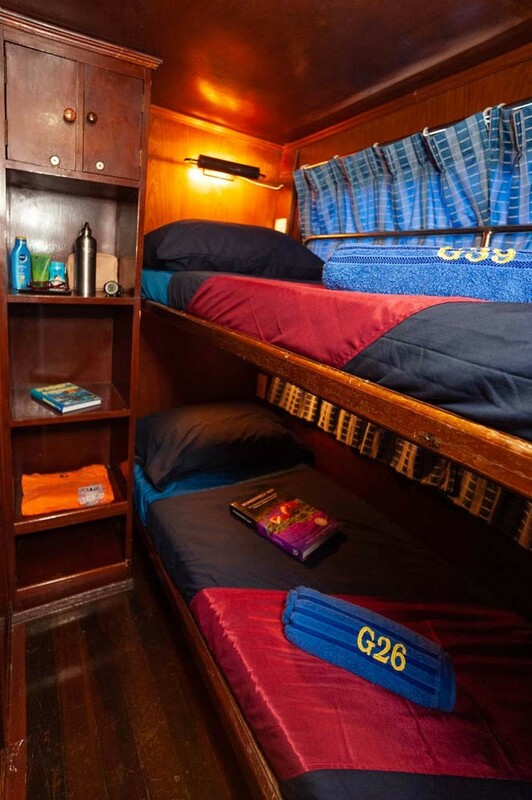 Five are twin bunks, and the other two are singles. 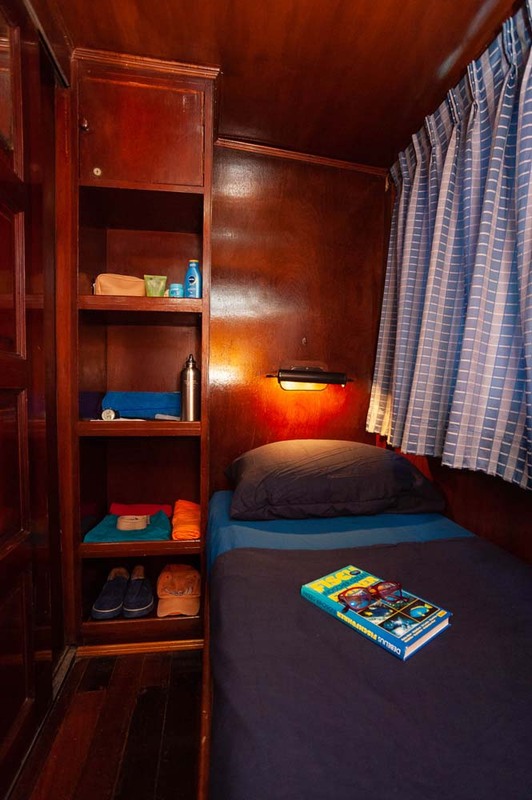 Each cabin has its own air conditioning remote control, enabling guests to adjust the temperature and get a good night’s sleep in preparation for the best diving experience. 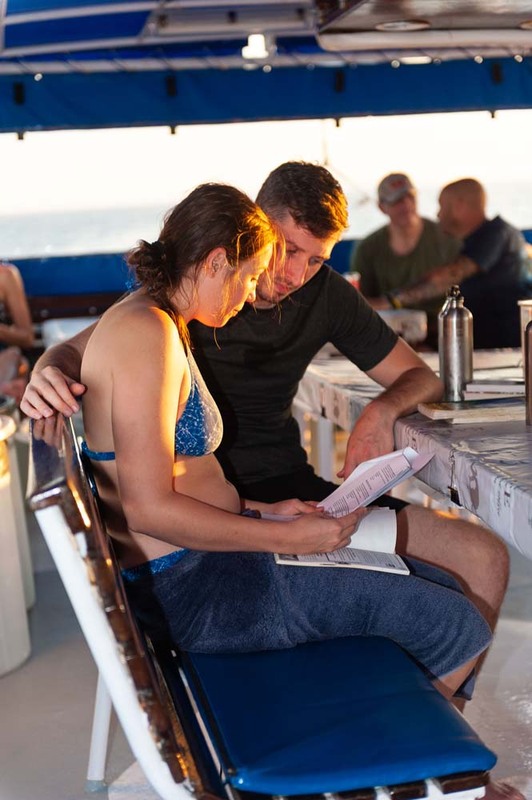 The attention to detail by the local crew and western staff ensures that guests (both divers & non-divers) enjoy safe & comfortable, but fun & friendly trips. 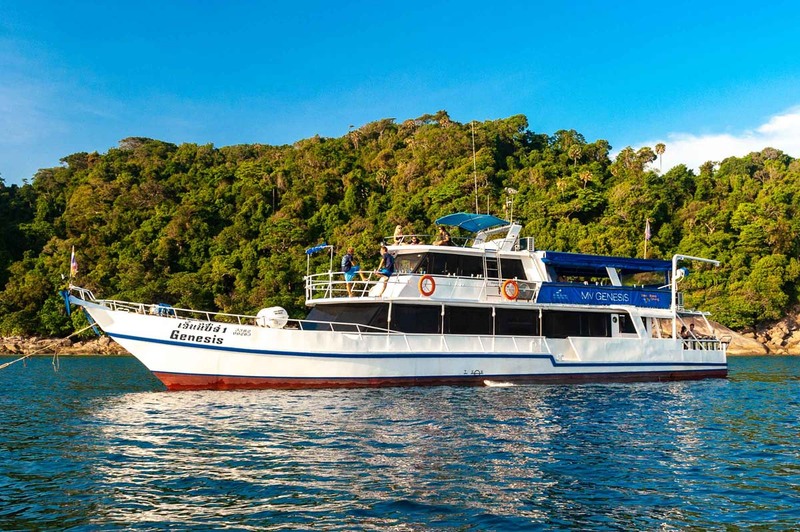 The trips to the Similan Islands have excellent diving at great dive sites, plus you get the chance to visit the iconic Donald Duck Bay and get some sand between your toes. 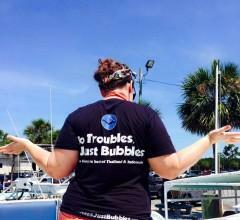 Open Water Divers or above will really enoy these trips. 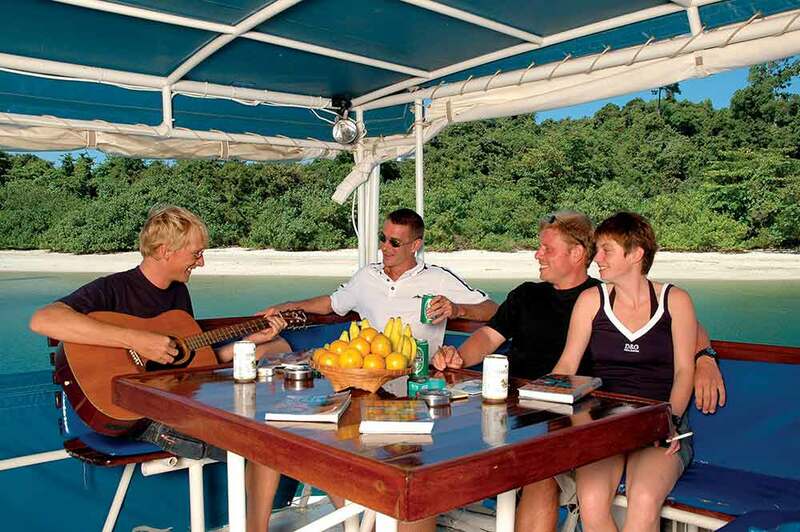 The 'Northern Tour' starts at Koh Bon, and then you dive at Koh Tachai & Richelieu Rock. 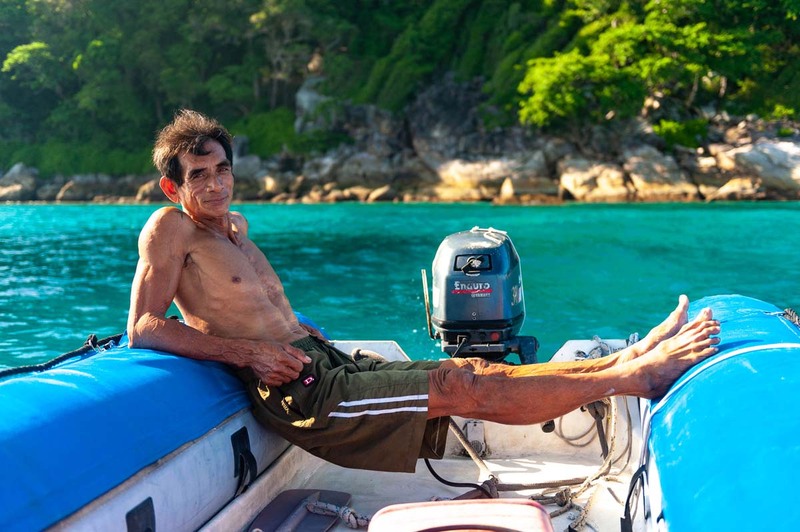 There are no beach visits on this itinerary, but the three dive locations are the best in Thailand. 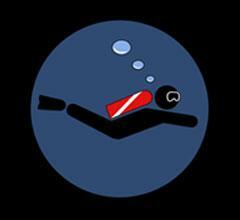 Open Water divers can join, but Advanced or experienced divers will get more out of the trips. 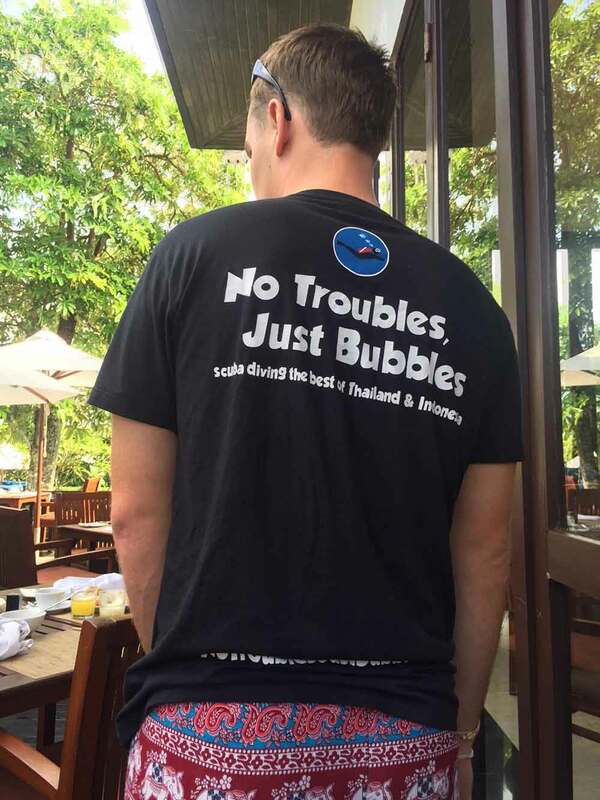 For certified divers, Nitrox fills are for free on Genesis, and there is also a range of diving courses that can be taken, all at competitive rates. The equipment, facilities, food and whole experience are excellent on MY Genesis 1, and these are just some of the reasons it’s so popular. 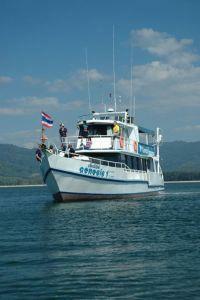 Genesis guests are collected for free from most hotels and resorts around Khao Lak. Picku up is at a time in the morning to enable everyone to be on board for a 9.00am departure from Tab Lamu Pier. 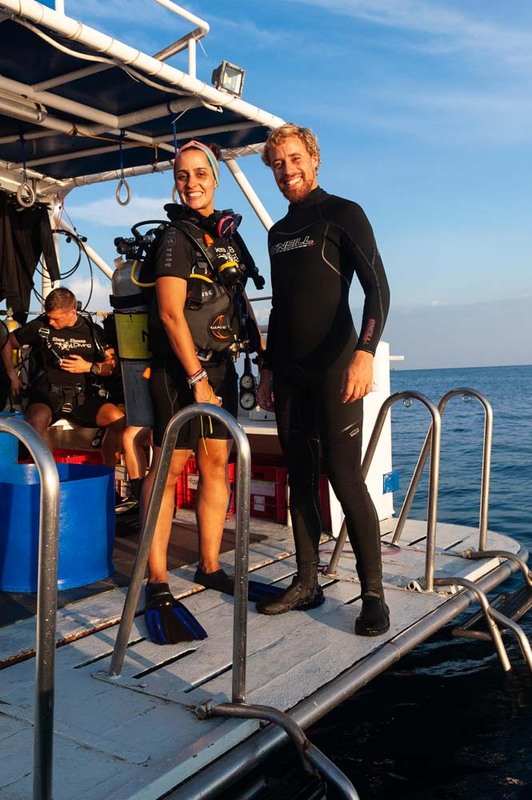 After the third and final dive on Day 3, Genesis returns to Khao Lak's Tab Lamu Pier, and guests are taken to their chosen destination. 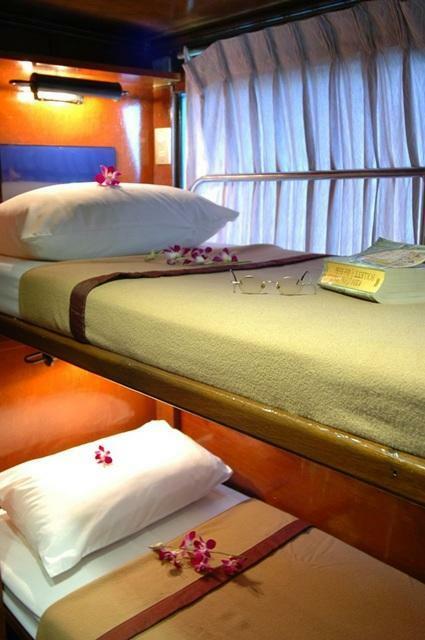 If you're joining a 6D/5N trip, you will spend one night on board in the harbour. Click on the itineraries below for more details. Oxygen: 28 X 12 Litre Tanks, 50 Litre Oxygen. 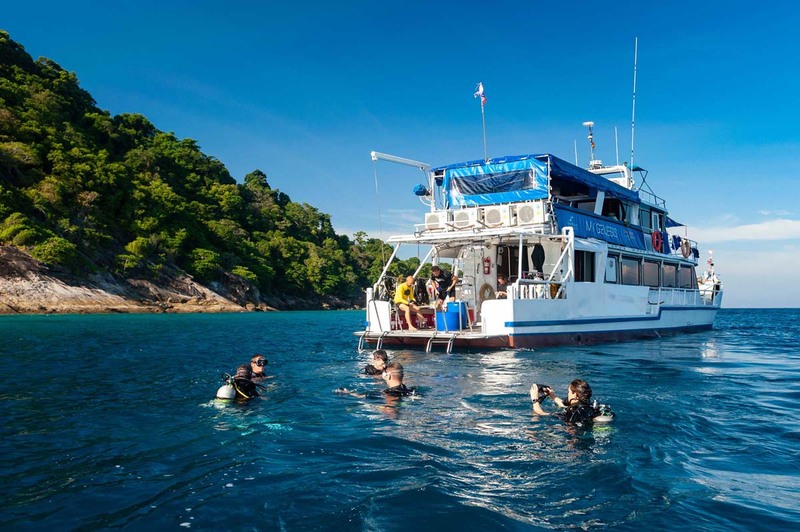 The professional team on MY Genesis are happy to help you through one of several PADI or SSI diving courses while you enjoy your 3D/2N Similan Islands or Koh Bon, Koh Tachai, Richelieu Rock liveaboard diving safari. 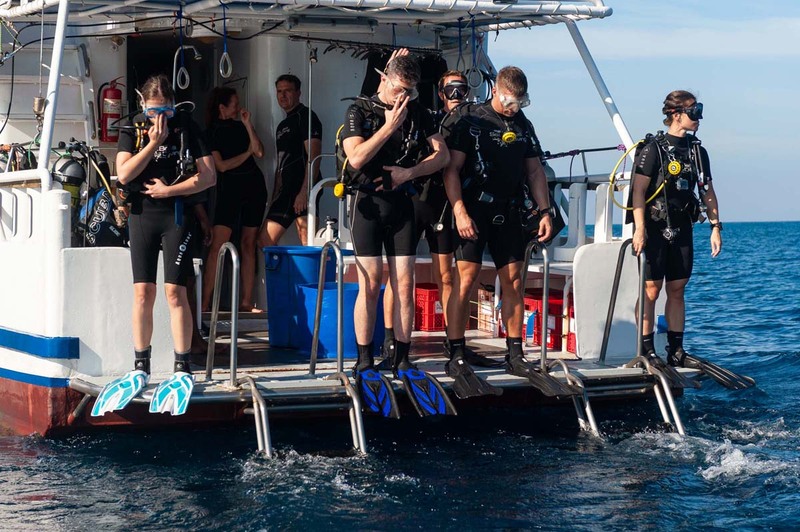 Just let us know before the trip and we can usually organize the diving course to suit you. 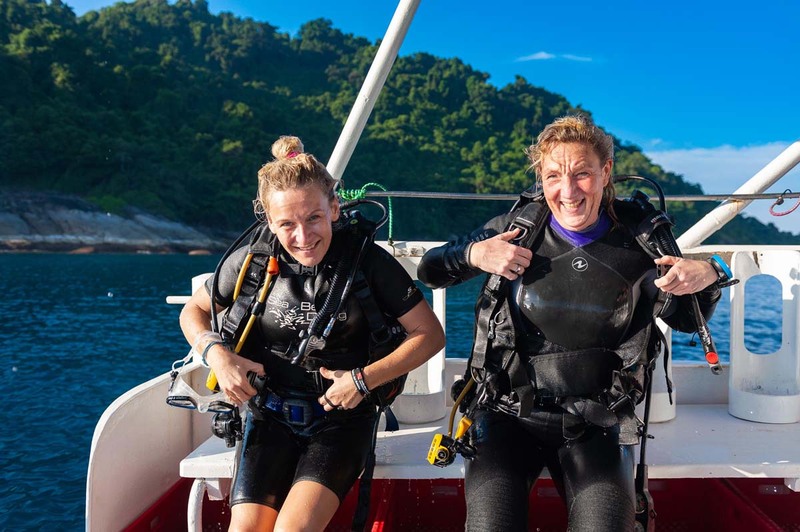 By far the most popular is the Advanced Open Water, which can be done in conjunction with PADI or SSI at a competitive price of 7,500 THB, as well as the SSI Advanced Adventure Diver. 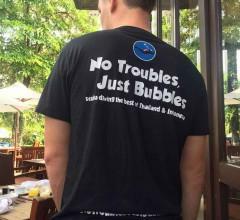 The SSI Deep Diver Specialty is just 4,500 THB, too. 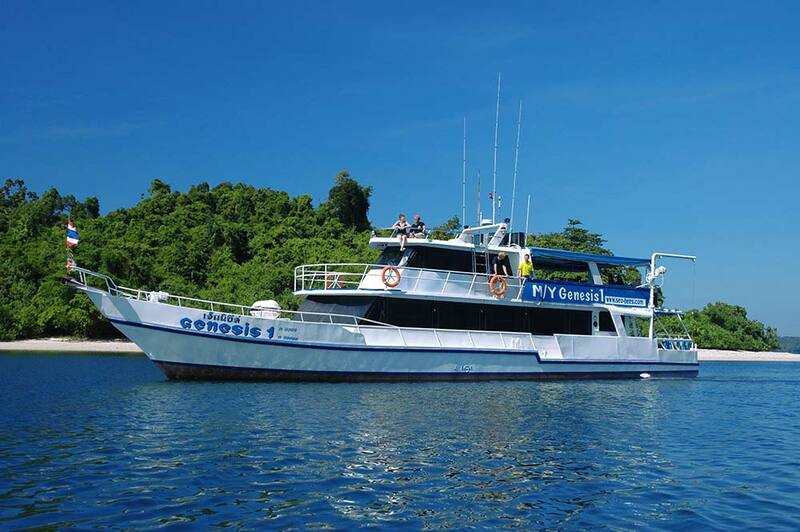 Finally, with Nitrox fills for free on MY Genesis 1 liveaboard cruises, it makes a lot of sense to take the EAN (Enriched Air Nitrox) course at just 7,500 THB. Please let us know which course you may be interested in taking part in aboard MY Genesis and we will give you a prompt and competitive quotation. 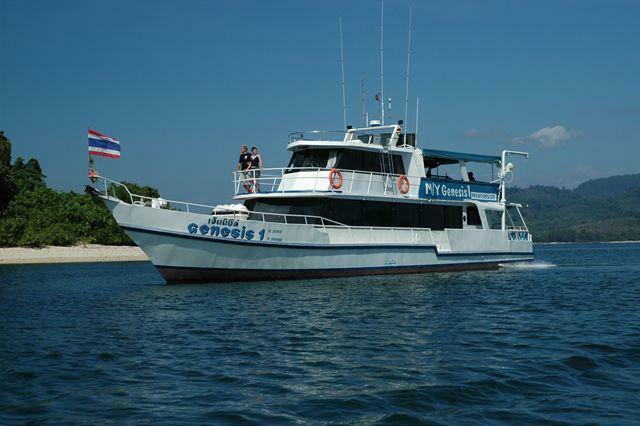 MY Genesis guests are offered free transfers from most of Khao Lak's hotels and resorts. Guests coming from Phuket need come by private taxi and arrive in plenty fo time at Tab Lamu Pier, Khao Lak. 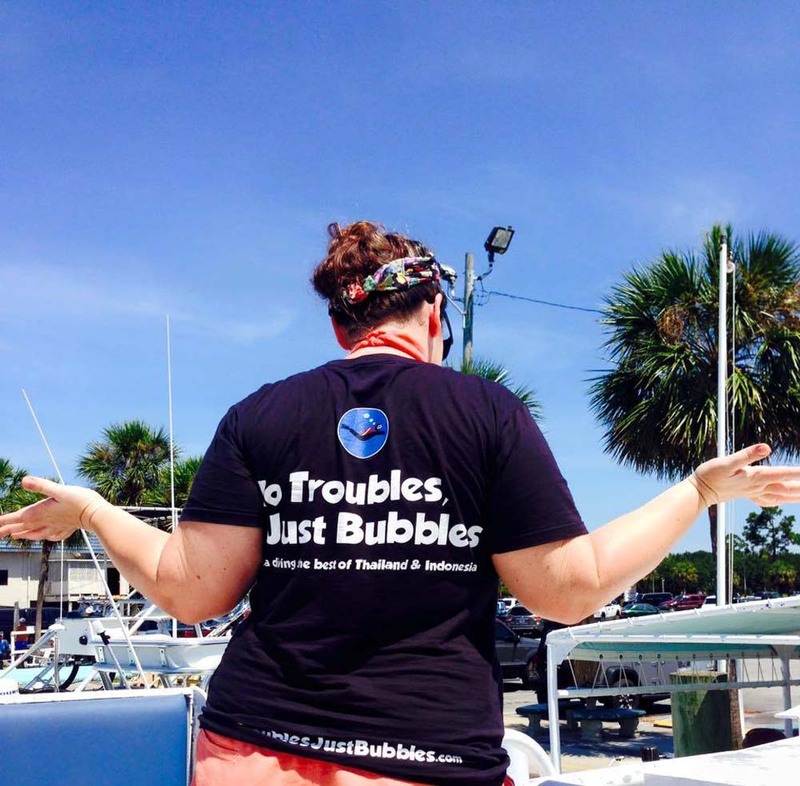 Each guest's transfer will be dealt with individually, and discussed prior to their cruise. 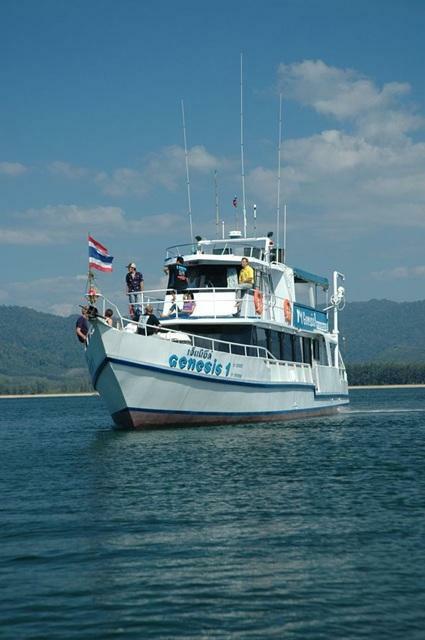 At the end of the trip Genesis guests returning to Khao Lak get free scheduled transfers. Those who need a taxi to Phuket can ask us or the Genesis team to organise this. Rates are 'per diver.' 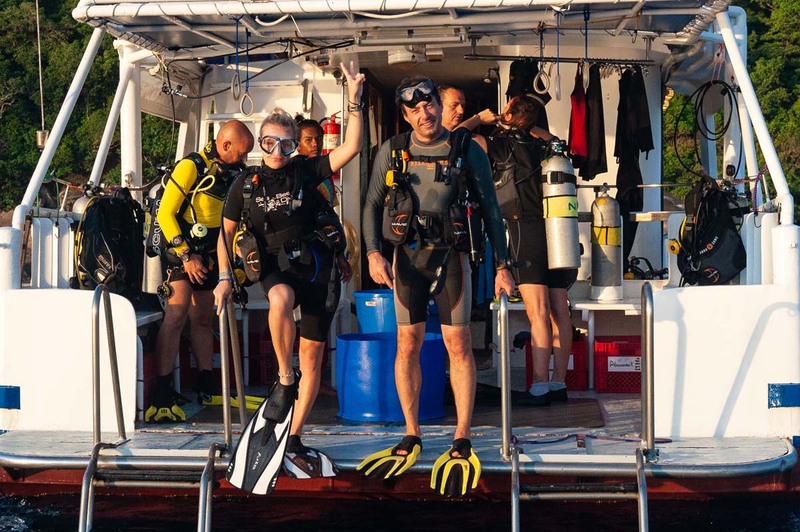 Non-diving guests receive 10% discount. 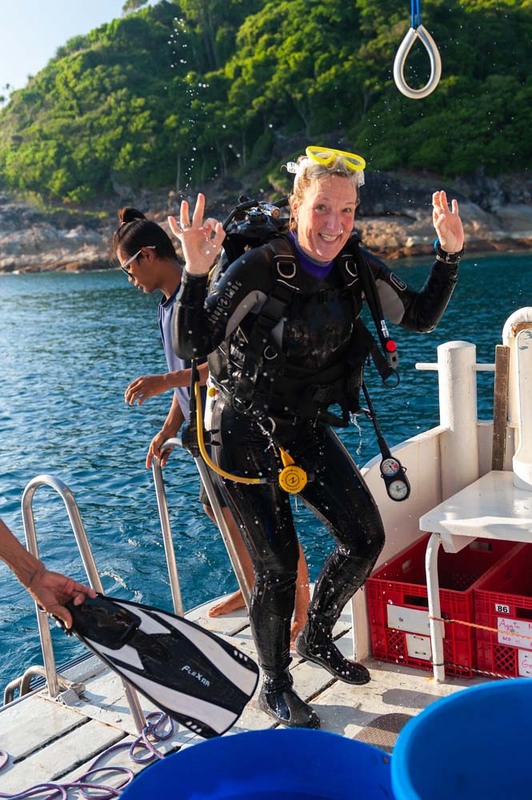 Prices include transfers to and from Khao Lak hotels and resorts, ten dives, weights & tanks, dive guide, towel, breakfast, lunch, dinner, fruit, coffee, tea, water & soft drinks. 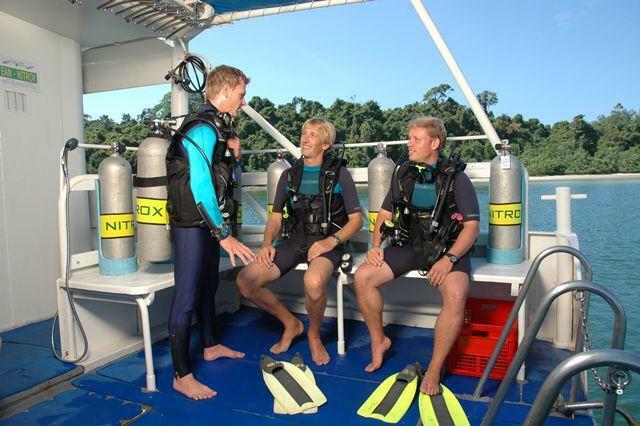 Diving is performed with 12 litre aluminium tanks with international valves. Adapters are necessary for regulators with a DIN connection, and can be rented at reasonable prices. 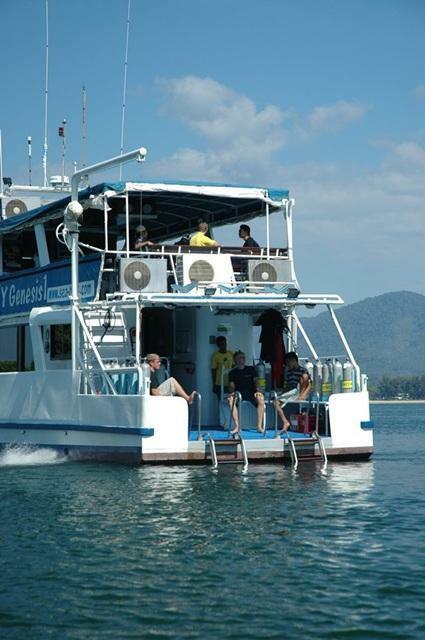 NOT included are National Park Fees*, equipment rental and transport to and from Phuket. *National Park fees are payable in cash to the Thai authorities.